Will launch in India as a Mahindra positioned above XUV500. 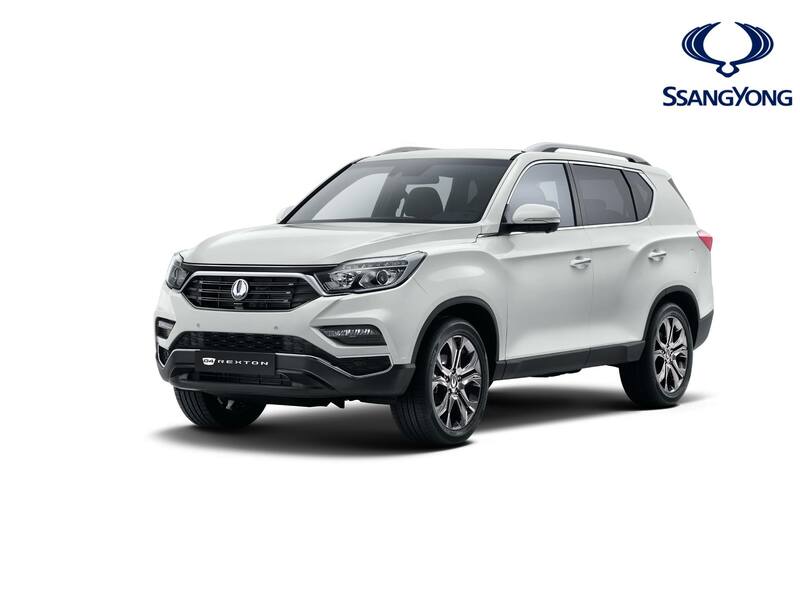 Ssangyong has digitally unveiled the all-new Ssangyong Rexton ahead of its world premiere at the 2017 Seoul Motor Show. It is reported to launch in India as a Mahindra in 2018, positioned above the XUV500, and could be called the Mahindra XUV700. The new Rexton is reported to launch in India as a Mahindra and would be the most expensive product in the portfolio. The new Rexton mirrors the styling of the LIV-2 Concept, featuring a sloping roof line, squared character line above the front and rear wheel arches, small projector headlamps with LED DRLs directly flanking a wide grille that houses a new logo, and horizontal wraparound LED taillamps. Ssangyong has not divulged the Rexton's dimensions, but the LIV-2 precursor measures 4,850 mm long, 1,920 mm wide, 1,800 mm high, with a 2,865 mm wheelbase. The interior has also been revealed, which is claimed to be a big step up over that of the predecessor and designed around the ‘chauffeur driven concept’. It has a dual-tone black and tan interior dashboard leather upholstery with piano black, wood and chrome detailing for a premium look. The dashboard houses a 9.2-inch touchscreen infotainment system with GPS-guided navigation, Apple Carplay and Android Auto connectivity. It will also come with third-row seating. 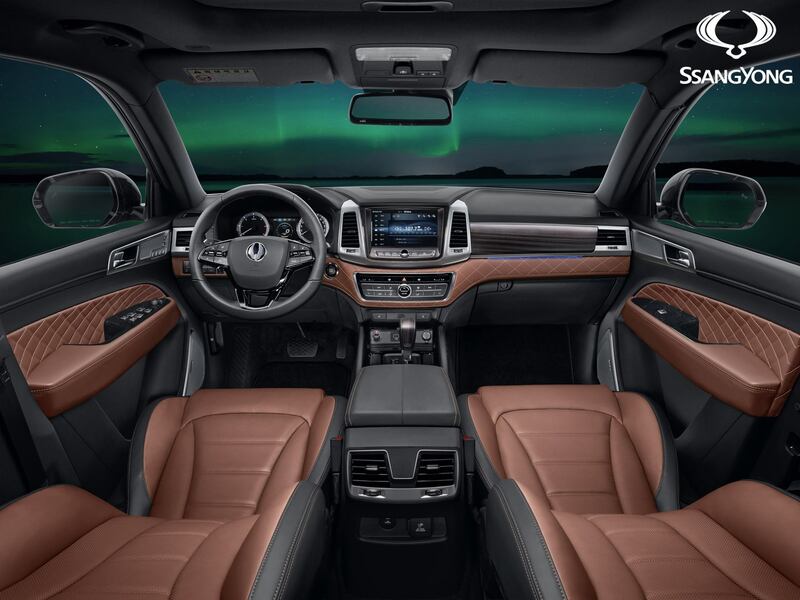 The interior has also been revealed, which is claimed to be a big step up over that of the predecessor. Ssangyong hasn't revealed the engine lineup but dropped details when the LIV-2 was unveiled. It includes a new 2.0L GDI turbocharged petrol engine available with a 6-speed manual or 6-speed automatic, while the latter is the familiar 2.2L turbodiesel unit available with a 6-speed manual or 7-speed automatic.